The $120 antenna box now offers subscription-free DVR, though its Sling TV app integration still needs work. The last month has been interesting for cord-cutters who want to combine free over-the-air broadcasts with live streaming cable channels. 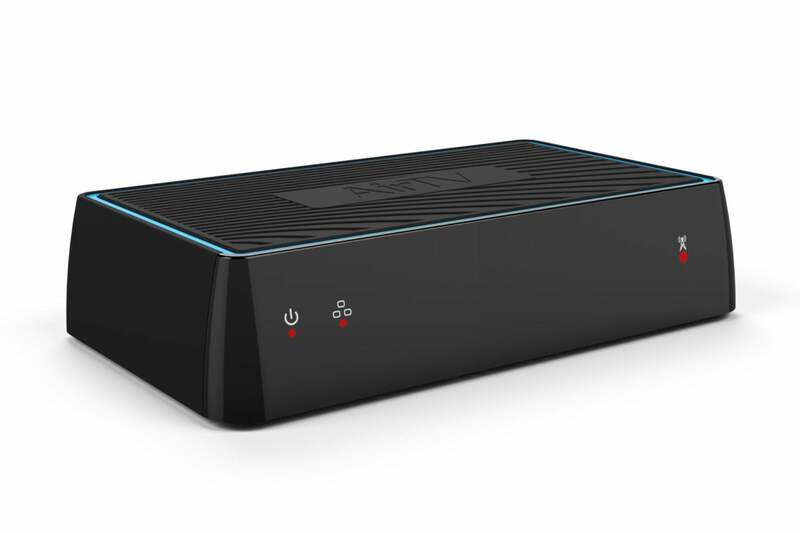 First, SiliconDust launched a $35-per-month bundle of channels that integrate with its HDHomeRun tuner box and DVR service. 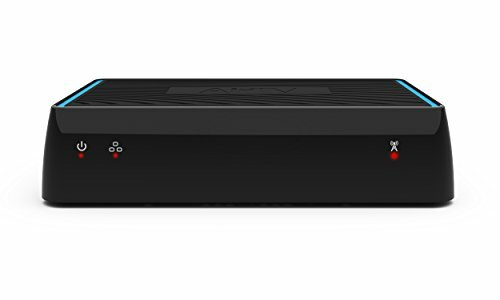 And now, AirTV has added DVR support to its own $120 networked tuner box, which streams over-the-air channels into the existing Sling TV app on devices like Roku and Amazon Fire TV. Because Sling TV has not aggressively pursued live local broadcasts in its Sling Orange or Sling Blue streaming packages (both $25 per month), using an antenna fills in the gaps while keeping costs down. But like SiliconDust’s HDHomeRun Premium TV service, which I covered a few weeks ago, AirTV isn’t a flawless solution. It still doesn’t support some key platforms, isn’t as well-integrated with Sling TV as it could be, and lacks some recording and playback features that appeal to power users. It’s not bad as a subscription-free DVR option, but it’s not quite the holy streaming/antenna union we keep dreaming about. AirTV is a networked tuner, which means it doesn’t hook up directly to your television or streaming TV devices. Instead, you can install it wherever you get the best over-the-air signals, hook up an antenna, then use the Sling TV mobile app to connect the device with your Wi-Fi network. After setting this up, AirTV will stream free broadcast channels to the Sling TV app on Roku, Android, iOS, Android TV, and Amazon Fire TV devices, even without a Sling TV subscription. 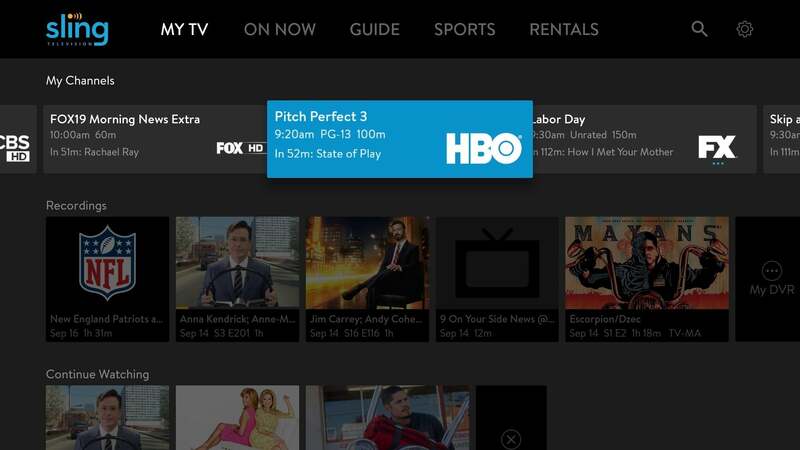 AirTV streams over-the-air channels into the Sling TV app. Optionally, you can also plug in an external hard drive and record up to 2TB of local broadcasts at no charge. The AirTV has two tuners for watching or recording up to two channels at a time, and it supports out-of-home viewing (albeit limited to one stream at a time). Conceptually, this is somewhat similar to Nuvyyo’s Tablo DVR. But because Sling TV also offers live cable channels starting at $25 per month, AirTV lets you access both over-the-air and cable channels through one app. With AirTV, you get a single grid guide for over-the-air and streaming cable channels. 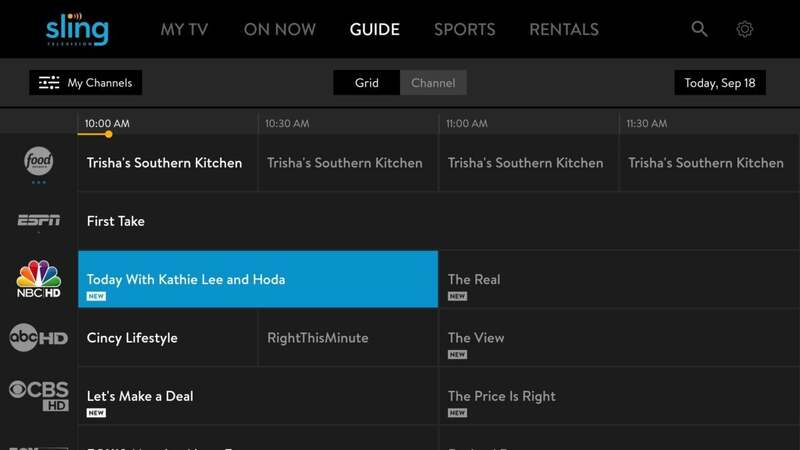 Sling TV’s home screen brings in favorite over-the-air channels and recordings. In other areas, the integration falls short. Over-the-air channels don’t appear in Sling’s “On Now” or “Sports” menus, which lets you browse programs by genre instead of channel, nor do they show up in Sling’s search menu. If you want to find upcoming broadcast shows to record, your only option is to scroll through the grid guide. AirTV also doesn’t work with the Sling TV app on certain devices yet. On Apple TV, for instance, you must use a separate AirTV app, which doesn’t support recordings or integrate with Sling channels. On Xbox One, Chromecast, the Chrome browser, and smart TVs from LG and Samsung, AirTV isn’t supported at all. In addition to improving its Sling integration, AirTV’s basic playback and recording features have some catching up to do with other over-the-air DVRs. On the playback side, AirTV doesn’t support 5.1 surround sound, putting it squarely behind networked tuners from Tablo and HDHomeRun. And while AirTV’s Roku app supports 60-frames-per-second video on 720p channels, the Android TV and Fire TV apps do not. (As with other networked tuners, AirTV’s Roku app only hits 30 frames per second on 1080i and 480i channels.) You also can’t pause or rewind live TV programs unless you remember to start recording them first. As for recording, AirTV lacks the granular settings you get from other over-the-air DVRs. You can record single episodes, new episodes, or all episodes of a program, and you can protect programs from auto-deletion when your hard drive fills up, but you can’t save just a certain number of episodes or record only from a specific channel. And unlike Plex DVR and Channels DVR, AirTV doesn’t offer any ad-skipping features. 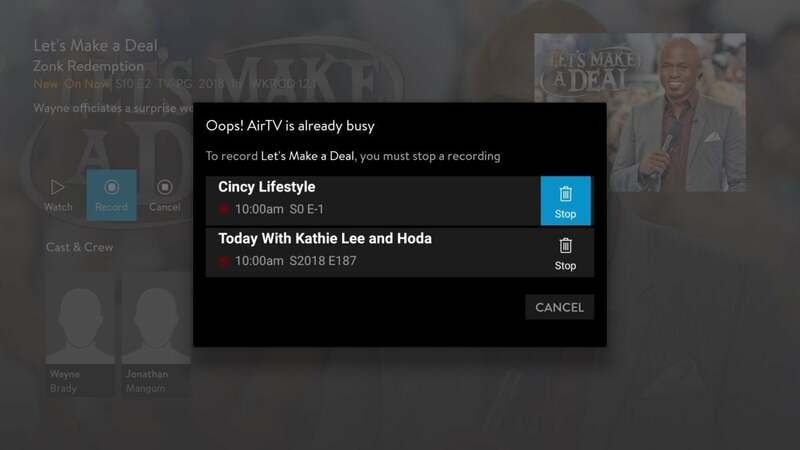 AirTV is light on DVR features, but it does handle scheduling conflicts elegantly. The saving grace is that AirTV doesn’t charge any fees for the DVR features it does offer. By comparison, Tablo requires a subscription ($5 per month, $50 per year, or $150 for life) for rich guide data, program-based recordings, and out-of-home streaming. Emby DVR also requires a subscription ($5 per month, $54 per year, or $119 for life) for similar features. Plex doesn’t support live TV or DVR at all without a Plex Pass ($5 per month, $40 per year, or $120 for life). 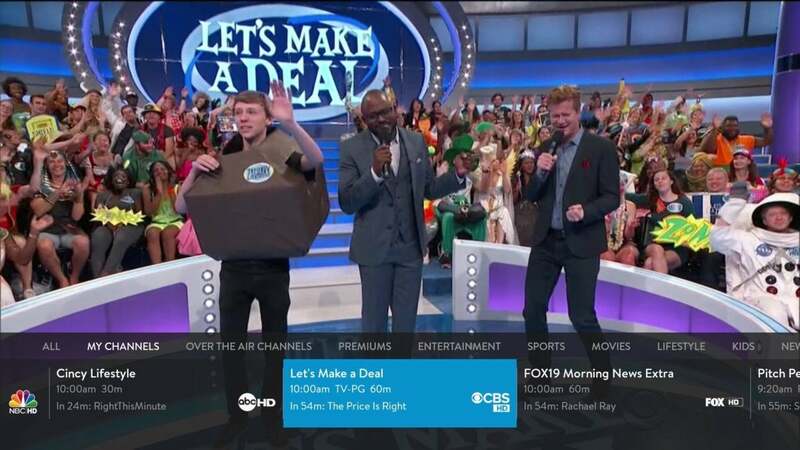 Channels DVR costs $8 per month, plus a $25 charge to download TV apps on each platform, and HDHomeRun charges $35 per year to record or pause live channels. AirTV isn’t as robust, but it offers all of these basics without a subscription. I’d feel more confident about recommending AirTV if it was either more powerful or more open. HDHomeRun’s tuner hardware supports multiple DVR services, including HDHomeRun DVR, Plex, Emby, and Channels, so you can decide whose software works best for you. And while Tablo is ostensibly a closed ecosystem, you can at least use programs like Tablo Ripper to take your recordings elsewhere. With AirTV, you’re hemmed into one company’s apps, which still need a fair amount of improvement. That said, AirTV is cheaper than any other whole-home DVR solution for cord-cutters, and if you’re committed to Sling TV for life, the cable channel integration—however incomplete—is a nice perk. With a handful of additional software improvements, this could be a killer cord-cutting combo.